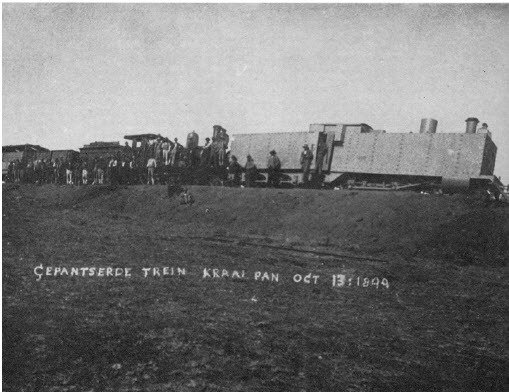 The British armored train that was captured by the Boers at Kraaipan. Below is closeup of Boer soldiers climbing on top of the train celebrating their victory. The train was part of a fairly foolish attempt by the British to reinforce Mafeking with troops and heavy guns. Before the advent of tanks in the First World War, only a few years later, the only mobile armored units were trains with steel platings. They were laid out somewhat like war ships, with armored turrets and deck guns. Although they offered protecting against small arms fire and even some artillery, they were vulnerable to having their railway tracks sabotaged or blocked and so their effectiveness was limited. 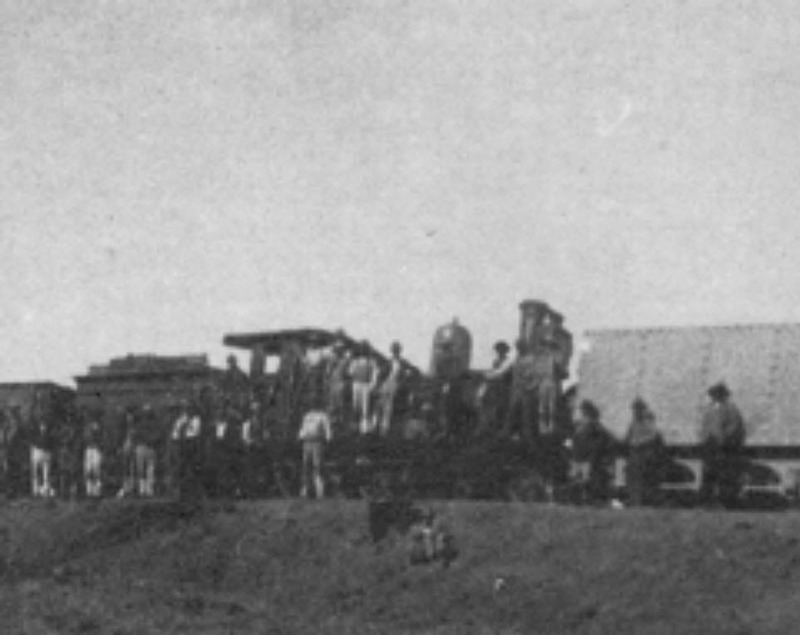 Although the British did expect that the Boers would make an attempt to stop the train, they somehow did not expect that they would be able to block the tracks. However a mobile force of Boers quickly surrounded the train and after a battle captured its stores and many prisoners, among them a young Winston Churchill, the future Prime Minister of Britain, who was then serving as a war correspondent covering the Boer conflict.